From kitchen and bath remodeling to custom closets and cabinetry, GGR Custom Cabinets can turn your dream home (cabinets & closets) into reality. You can receive a lifetime material warranty on all products we manufacture for as long as you own your home. Call us today for a free consultation! 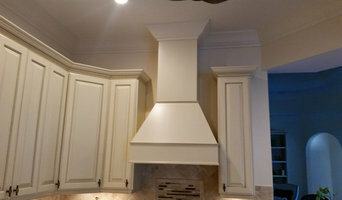 GGR CUSTOM CABINETS offers only the most professional service. We operate a respectful yet friendly, family-oriented business. We truly believe in high quality, American made products. From beginning to the end of your project we are available to help you. Before your project begins, we will send an expert out to measure your space and offer advice on the best way to optimize your space. This is a free a service that we offer as a courtesy. Designing a kitchen is a process, and not something done overnight, so take your time and let us design different options for you to explore before putting your order into production. When your cabinets arrive, the installation will be conducted by licensed and insured craftsman. Your final look will be seamless. Give us the opportunity to impress you! Encore Cabinets & Design is a full-service custom cabinet and design firm providing standard, premium and luxury lines of cabinetry. We specialize in cabinetry for residential and commercial properties and have worked in the finest communities throughout Southwest Florida, the Florida Keys and across the United States. Encore Cabinets & Design Showroom is centrally located at 961 28th Avenue North in Naples, Florida behind Andres Steakhouse. The showroom features inspirational vignettes of traditional, transitional and contemporary styles and a vast array of door selections, hardware and accompanying products. Free in-home consultations are provided and appointments can be made by calling 239-331-5287 or visit www.EncoreCabinetsDesign.com. 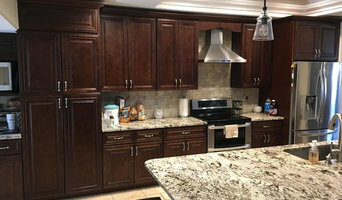 The highly skilled, professional team at Kitchens by Clay has been connecting with their clients, one project at a time for almost two decades. As a family owned and operated company be assured that the highest commitment, value and respect will be placed on your project. Building a relationship with each client, providing unmatched quality and incredible service are the steps to a successful and relaxed experience. Our design knowledge is sharply focused on realistic solutions to design challenges. Engaging the client throughout the process is one of the many strengths of Kitchens by Clay, as the philosophy has always been to make every project completely personalized. Through strong communication and listening to what you need and what you desire your vision will be created. Whether your input is a little or a lot, together we will achieve the desired results. Our history of experience in the business and wealth of knowledge helps each customer make the right decisions for them. Getting started is the hardest step. We realize how important it is to get this first phase right. This is when the team at Kitchens by Clay rolls up their sleeves and gets to work. Meeting with a design professional at Kitchens by Clay is where the collaboration begins. From the design to the completed product you will be expertly guided through the cabinetry and hardware selections, keeping in mind your financial parameters that you are comfortable with. We accommodate a range of price points without sacrificing quality or style. Ask how you can achieve the elegant look you want without compromising – our beautiful showroom designs are shining examples of the looks and styles from which to choose. Scheduling your project commands our attention as well. Keeping a prompt schedule is a commitment we make to you. Our overall method from start to finish is an established process that will encompass all the factors of a high quality and timely project that will give you peace of mind. Our company has stood the test of time as one of the premier cabinetry design firms in Southwest Florida. We guarantee that you’ll go on to refer your friends and family to ours. Schedule your appointment with us today by calling 239.431.5474 or e-mail sales@kitchensbyclay.com. We look forward to working with you! Take Hart Carpentry Inc. is a fine finish carpentry corporation dedicated to excellence specializing in all fine finish carpentry. We are a full-service custom furniture and architectural millwork corporation providing crown molding, baseboards, chair rails, door and window casings, paneling and wainscoting, stair stringers, handrailing systems, applied moldings and custom decorative ceilings such as box beams with crown molding and tongue and groove. We can also add some finishing touches to the exterior such as decorative ceilings, corbels, brackets, front entry doors, trellis work, custom gate fabrication, deck construction and siding installation. If it's wood, we're good. Top Drawer Custom Furniture Inc. Anything you can dream, in wood, we can build. Top Drawer is a full service, custom cabinet and furniture manufacturer. David has been designing and building custom furniture for over 35 years. We can take your idea from the autocad drawings through the finished installation. We also have decades of experience with hidden compartments for valuables etc. Ask us about designing one into your project. If you are not local, ask us about building it for you and having it shipped/installed for you. Dreamworks Kitchen & Bath is one of Naples leading custom cabinet companies. We specialize in kitchen remodeling, cabinet refacing, cabinet design and full remodeling services. We offer 3D drawings with our designs. 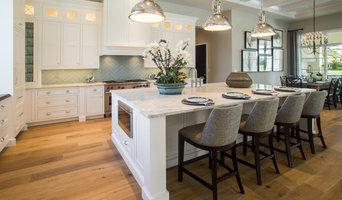 With over 20 years in the construction business, Michael Park and his team are qualified to handle every aspect of your home remodel including custom cabinetry, multiple room renovations, major home repairs and small detailed touch ups. We are detail oriented and want to walk with you each step of the way through your project by providing you with a 3D drawing, a cost break-down so you can stay within your budget and a timeline you feel comfortable. We want to keep you informed every step of the way. We have been raised in the construction world with decades of experience and are skilled in virtually every area related to building and remodeling but specializing in design and installation. We will work side-by-side with each customer to accomplish their dream and goal for their home and have many references to help you feel more confident about your decision to choose this company. Xavier's Collection Fine Cabinetry specializes in crafting a range of cabinets and wood products for the traditional and contemporary homes of Southwest Florida. Options For Your Home is a family owned business, built upon a tradition of high standards of service and quality. Each of us plays a role in the service you receive from concept to completion. A reliable team of designers, master craftsmen, finishers, and installers with more than 30 years of experience are committed to work in creating custom cabinetry that will beautify your residence or place of work. Options For Your Home has built its reputation by fulfilling the needs of our customers by working closely with home owners, interior designers, builders and architects. Abernathy Finish Master has a proven record of excellence in designing and managing refinishing projects of extreme diversity in Fort Myers, FL. No matter the size of your project, the experienced professionals at Abernathy Finish Master will plan, design, construct, and maintain your project. "If you can dream it, we can do it. " We specialize in repairing/ refinishing your existing cabinetry, whatever it may be. We provide cabinet refacing if your cabinets are damaged from wear and tear, water or any other element. This saves you from having to completely replace your cabinets if they get damaged or just need a face lift; which can be much more costly, time consuming, and worse for the environment. What we, as master finishers and artists, find is that our refinished cabinets tend to be much more unique and tasteful than anything you could purchase new. We feel very confident you'll feel the same way after just viewing some of the samples from our showroom. We are dedicated to serving the needs of our customers each and every day, our customer satisfaction is un-matched. We guarantee to protect your home and valuables by completely masking, papering, using drop cloths, using 'plastic walls', a air evacuation system and everything else it takes to ensure that once our job is done, there will be nothing remaining but our beautiful finished work. We know it can be stressful having work done in your home; we promise to ease this stress by making you feel at ease and comfortable before, during, and after the entire process of your project. Abernathy Finish Master has been in business since 1994, with 50 years combined experience. We are licensed, bonded, and insured, and have endless references we'd be happy to provide you with. You will feel confident choosing Abernathy Finish Master for all your refinishing needs. Our showroom is available by appointment only. Please email us at sales@abernathyfinishmaster.com for estimates. Remodeling a home in Naples? Find an UltraCraft dealer near you! We specialize in creating designs in Millwork & Cabinetry and being able to profile match any molding or cabinet with over 40 years experience. Cabinetry professionals design, construct, refinish and repair banks of conventional cabinets, but they also create customized storage and shelving for home offices, playrooms, bedrooms, media rooms and other spaces. They’re in the know about Florida design trends and different cabinet styles, as well as the latest in special inserts and other options that boost functionality. Cabinetry professionals also can craft furniture to your specifications, such as a corner cabinet for a kitchen or a dining room hutch. In addition, Naples Park, FL cabinetry pros can help you give worn or dated cabinets a makeover. They can replace doors; add glass inserts, decorative moldings and other details; or give cabinetry a new coat of paint or specialty finish. Your cabinetry professional might work closely with a Florida kitchen designer, builder, remodeling contractor or interior designer. Here are some related professionals and vendors to complement the work of cabinets & cabinetry: Kitchen & Bath Designers, Kitchen & Bath Remodelers, Interior Designers & Decorators, Closet Designers and Professional Organizers, Woodworkers & Carpenters. Find a cabinetry professional on Houzz. Narrow your search in the Professionals section of the website to Naples Park, FL cabinets and cabinetry. You may also look through Florida photos to find examples of cabinets that you like, then contact the cabinetry professional who worked on them.